Payment is due when you pick up your pup and we now accept Master Card, Visa, Discover, as well as Cash or Checks. Single Dog Boarding $26.00 per night. Multiple trips a day to the fenced exercise area and one 20 minute Nature Walk. We find that with lots of exercise the dogs rest better after the sun goes down, eat better, and make way fewer messes in their kennels. At Kelly Run Farm we much prefer walking a dog in the field, to re-cleaning their kennel! Multiple Dogs $23.00 per dog per day. Same as Basic Boarding with a multiple dog discount. Long-term Boarding Discounts Stay ten days and get one free! Holiday Rate $30.00. For example if your dog stayed the week of Christmas you would be charged $30.00 for Christmas day and $26.00 for the other days. The holiday rate is for the holiday only. Bath Pricing $20.00 Dogs under 40 lbs. $55.00 for 80 lbs and up. Dispense Medication $3.00 per day. We will be happy to dispense your medicines for your pet while it is staying with us. Pills-drops-ear washes up to and including subcutaneous (under the skin) injections. 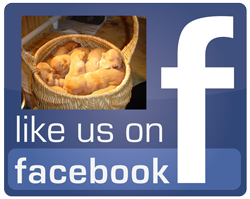 Pups 6 months and under $3.00 per day in addition to normal pricing. We are quite experienced at raising pups but without question they are more work than older dogs. Extra Large or Giant Breed pricing $3.00 per day in addition to normal pricing. As we are finding our selves taking care of more and more of the giant breeds, Great Danes, Mastiffs, Great Pyrenees, etc. and they have shown us that they have their own set of challenges (just dealing with such large animals can be pretty challenging) this reflects the higher price for those breeds. Extra Walks $10.00 each. All dogs receive a 15 to 20 minute walk every day, but some of you want more. We will be closed to people on major holidays. Copyright ©2002- Kelly Run Farm. All rights reserved. Don't send your pet to Puppy Prison, let it have the time of its life at our unique Puppy Camp, Kelly Run Farm. It’s not just another boarding kennel — it’s a vacation for your pet.